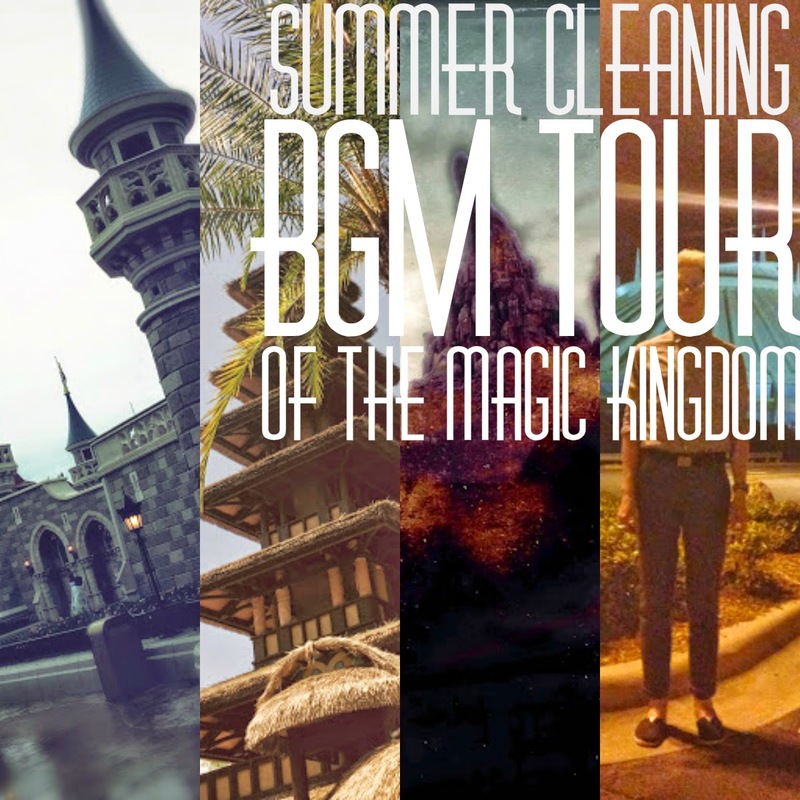 Disney Hipster Blog: Summer Cleaning BGM Tour Of The Magic Kingdom! Summer Cleaning BGM Tour Of The Magic Kingdom! One of my non Disney hobbies is cleaning. I really enjoy cleaning. And while I keep an orderly home day to day, I do dedicate one day per season to a DEEP DEEP SCRUB DOWN. These are the days where I start to resent my rampant insistence on keeping a schedule. The day always starts off well and good. But by the end of the day I'm generally exhausted…but the rewards of a sparkling house ultimately make the whole ordeal worth while. To offset the overall monotony of these deep cleaning days I created the SUMMER CLEANING BGM TOUR OF THE MAGIC KINGDOM! You see? It becomes a race against the clock…and a little bit more fun than the usual day spent cleaning. I encourage you to customize your schedule…keeping in mind that I included a few attraction audio clips in the mix as well…which should be considered as part of the land that they're found it. Whew! That was a long day, wasn't it!?! I hope you had a great time cleaning you home. If you took part in this silly exercise in Disney integration, I'd love to hear about it over on Twitter, Facebook, or Instagram! I want this on my ipod!